Home/Curated, Pet/How can CBD help your pets during the 4th of July? 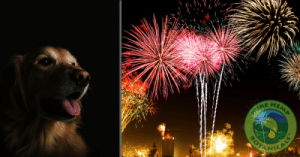 As the Fourth of July approaches some pet owners have to consider the best way to help their furry friends cope with what is probably the scariest time of year for them. As I sit here typing I can actually hear my neighbors setting of fireworks well before the holiday itself and I know from previous experience that they will continue for at least a week after. 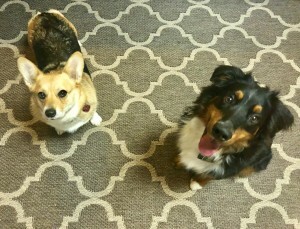 So what can I do to help my two pups (JB and Soph-the-Loaf) get through it? For us the answer is CBD. “Your dog’s stress starts deep in the Limbic System of his brain, which is responsible for emotions, fear, and anxiety. CBD can act in multiple areas of the brain associated with anxiety to calm innate fears (spontaneous anxiety), reduce conditioned fear associated with traumatic stress (contextual anxiety), and reduce obsessive-compulsive behavior. At PHB we consider our customers family and that means all the animals that use our Pet Tincture are family too. While for most of us human-folk this week will be full of fun and celebration we know that it will be a scary confusing time for our PHB Pets and we want to make sure they have as much support as possible. To learn more about our pet products come check them out here. Be sure to research and check the lab testing on any CBD products you purchase for you AND your pets! Third party lab tests can be checked for every single PHB product here. Have a happy and safe Fourth of July PHB Family!